After Emperor Constantine was converted to Paulinism, he changed the name of the cult to Christianity and made it the official religion of the Roman Empire. He was heavily influenced by the North African scholar Lactantius who became instrumental in establishing the doctrines of the early church. His full name, for the record, was Lucius Caecilius Firmianus Lactantius. Like Constantine, Lactantius was not born into the Pauline doctrines. He was converted into the cult later in life after a successful career as a teacher and writer in North Africa. Later he sailed to Nicomedia where he became a professor of rhetoric under Roman Emperor Diocletian. After Constantine seized the Emperor’s throne, Lactantius experienced a conversion to the new Christian cult. Constantine assigned Lactantius to be a tutor to his son, Crispus. It was during this time, late in Lactantius’ life, that he became a key apologist for Christianity. Lactantius’ writings reflected a belief that the martyred Jesus would return after the fall of the Roman Empire. He also attacked the ancient wisdom of the Greeks and Aristotle concerning the orbit of the planets. He established the church “law” that the earth was flat. Lactantius' writings pointed to the incongruity of heathen polytheism. He perceived the teachings of the pagan cults as deceptive and entertained the theism of Christianity and the belief in a single Supreme Being as a way of uniting the human race in a doctrine of divine and universal fraternity. 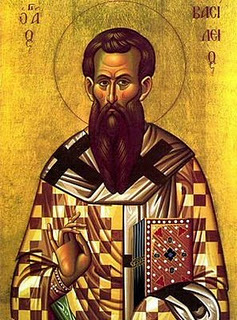 Constantine's involvement in church doctrine was perhaps perpetrated by a conflict among early theologians over the teachings of Arius, a priest in Alexandria that basically denied the existence of the Trinity. Arius taught that God the Father created the Son to bring his teachings to the world at a specific point in time. This slight variation in the Jesus story became a controversy that spread throughout operating churches in the Roman world. And it became the primary topic to be resolved at the First Council of Nicaea, called by Constantine in AD 325. Of course we all know the decision that was made there. The church teaches the existence of the Father and Christ the Son as "of one essence" and co-eternal to this day. While the question put before the council seems ridiculously simple, it was such a serious issue that bishops from all over the Roman world literally argued for months over it. It was said that the debate sometimes became so heated that one bishop actually struck another in the face. That First Council of Nicaea did something else that has had a profound influence on the church. It established what was known as the Nicene Creed, or a confession of faith in which all followers of Christianity profess their faith in the Father, the Son and the Holy Spirit. The creed goes on to follow the basic foundation of the Christian faith, that Jesus suffered and died for the sins of mankind, and that He rose from the dead on the third day, and so on and so on. That creed has remained the foundation of the church. It was written and then revised to include more detail during the First Council of Constantinople in the year 381. Constantine apparently had one other influence on the Christian church that has had an effect on everyone living in the Christian world ever since. It is said that upon the request of Pope Alexander in Constantinople, the Emperor declared Sunday to be a "public holiday" based upon the Old Testament story of creation.